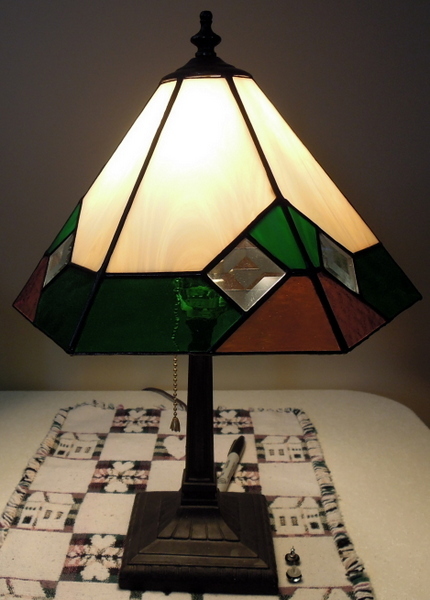 While wintering in Apache Junction, Arizona during the winter of 2000 – 2001, Bob took a course from Stained Glass Horizons located on E Apache Trail. 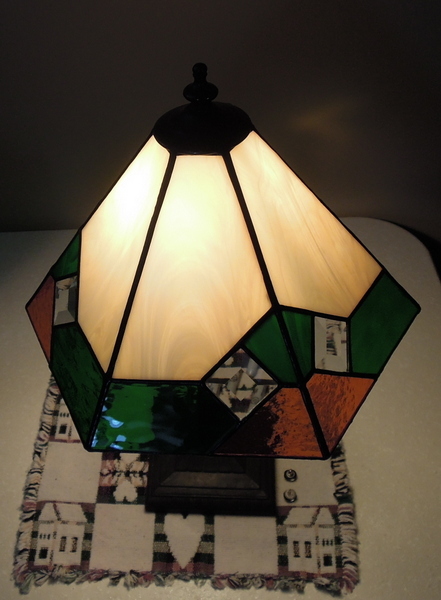 We were beginning to learn the art of stained glass and wanted to learn about making lampshades. We had a great instructor, who was most knowledgeable and helpful. 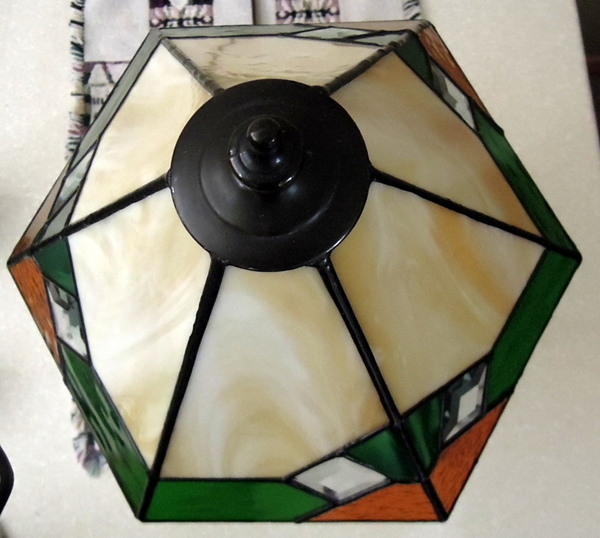 When we first started learning the art of stained glass, we purchase the book Stained Glass Projects & Patterns which detailed several lampshades including this one. This book by George Shannon & Pat Torlen is a must have for any beginning stained glass artist but it also continues to serve us many times in our studio as a great reference manual. The lampshade is to this day in perfect condition and used daily. Your work is spectacular! I love the brilliant and the subtle colors! Thanks Pauline, each time we make a new piece of stained glass regardless of what it is we strive to make it better than the last one. We also teach and like to pass on what we have learned.